The Yellow Crowned Night Heron lives throughout the eastern United States. 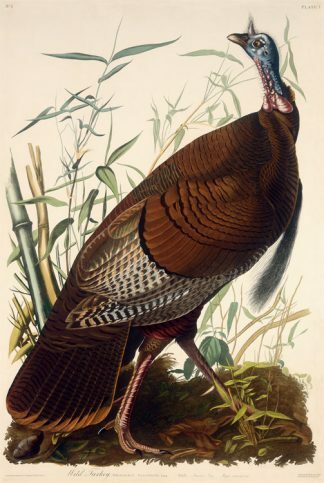 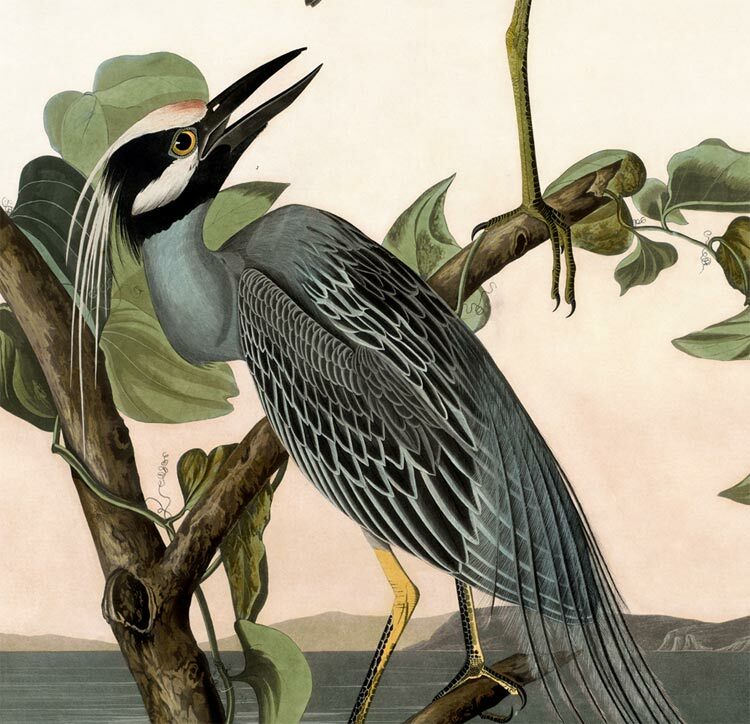 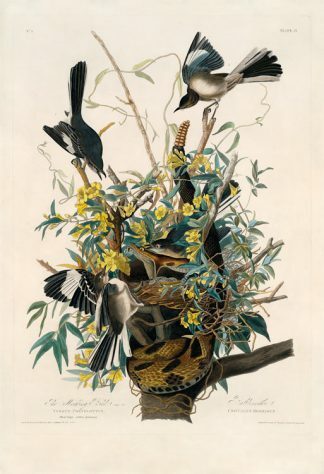 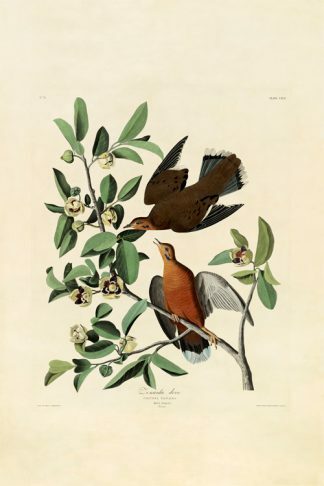 Although Audubon saw Yellow Crowned Night Herons in abundance throughout his travels, this drawing was made near Charleston, South Carolina. 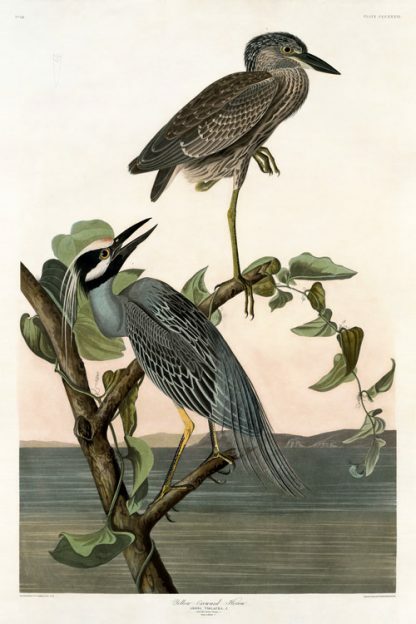 The Yellow Crowned Night Heron is nocturnal and breeds along small streams and rivers. 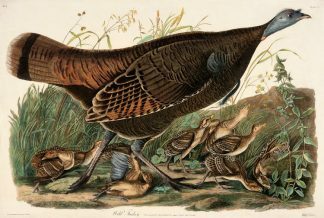 They usually nest in small colonies. 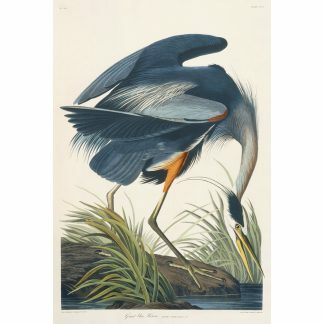 This beautiful illustration pairs very well with the Great Blue Heron illustration.